Most people only buy a car once every five years or so. Therefore, it is important to get it right. You want to have a car that you enjoy driving and that doesn’t put too much strain on the pocketbook. A bad decision on the car you buy can haunt you for years, so it’s best to be careful and make the best selection for your needs. The 2018 Kia Sportage has many things going for it. 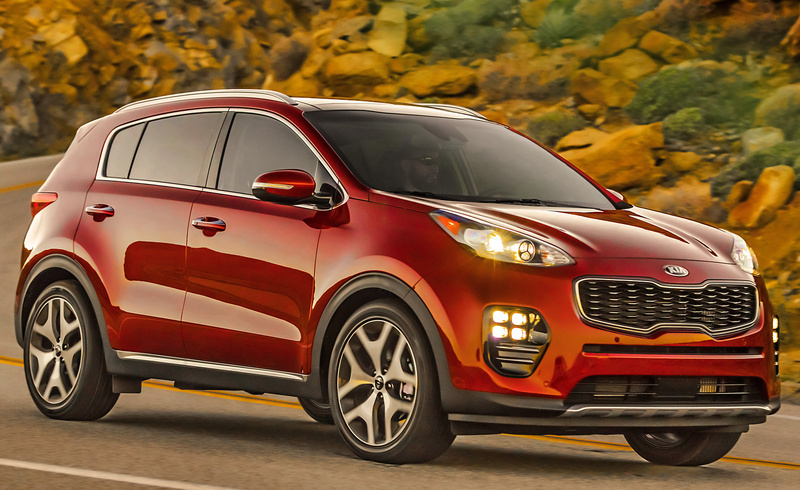 The Sportage, a midsize SUV, comes in three trim models: the LX, the EX and the SX Turbo. All trim models are available in 4WD or AWD drivetrains and they all get in the range of the low to mid 20s for fuel economy. Likewise, they all operate with CVVT, have gasoline direct injection and have ABS. On the exterior of the SUV, the trim models have a bit of variability, with the more expensive models having higher quality features. For example, the SX Turbo model has a panoramic sunroof with a shade feature, a power liftgate, 19-inch allow wheels and special features associated with the headlights. All models have rear wipers, auto light control and LED daytime running lights. The outside dimensions are basically the same for all models, with ample seating capacity and space. All models also have rear camera display and cruise control, but the EX and SX Turbo models have advanced technology for entertainment screens and speakers as well as seat adjustability. An impressive suite of safety features are available in all three models, from ABS to front and side airbags to traction and stability control. At Peterbrough Kia our goal is to find the right car for you. We believe the 2018 Kia Sportage has a solid mixture of quality, convenience and affordability. Our sales team can help you decide on what car works best for your situation.